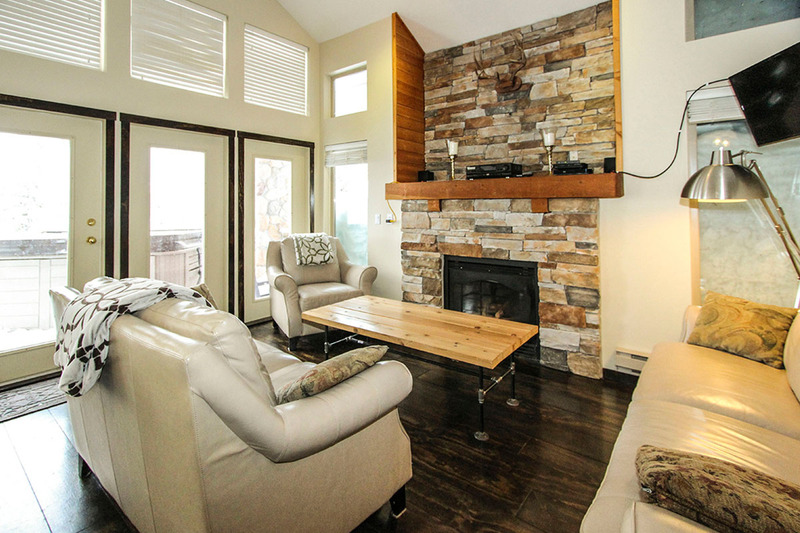 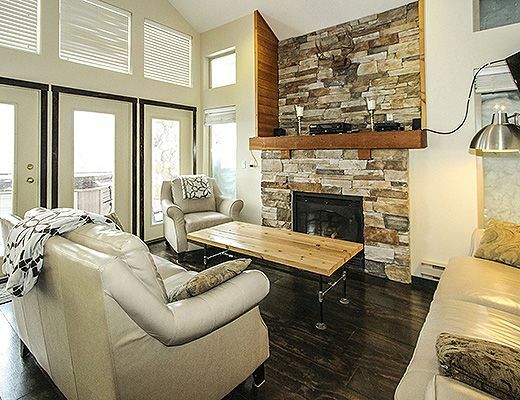 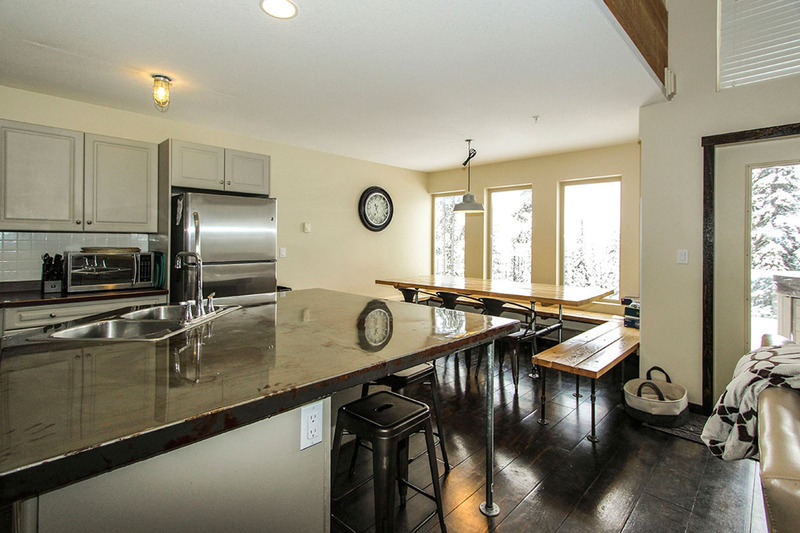 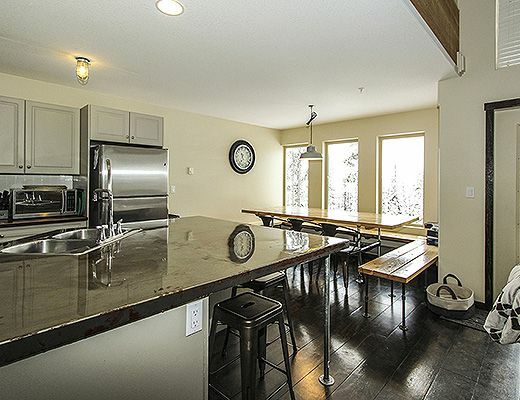 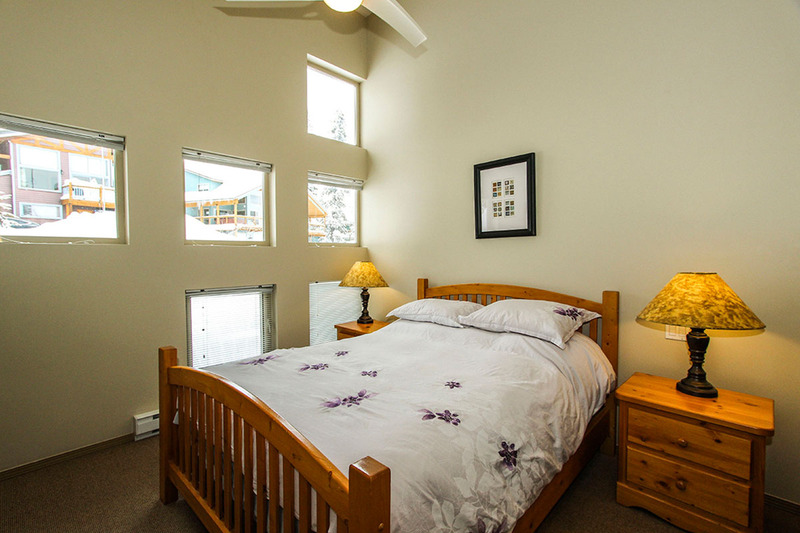 Large and bright this newly renovated 3 bedroom, 3 bath chalet offers 1700 square feet on two levels. 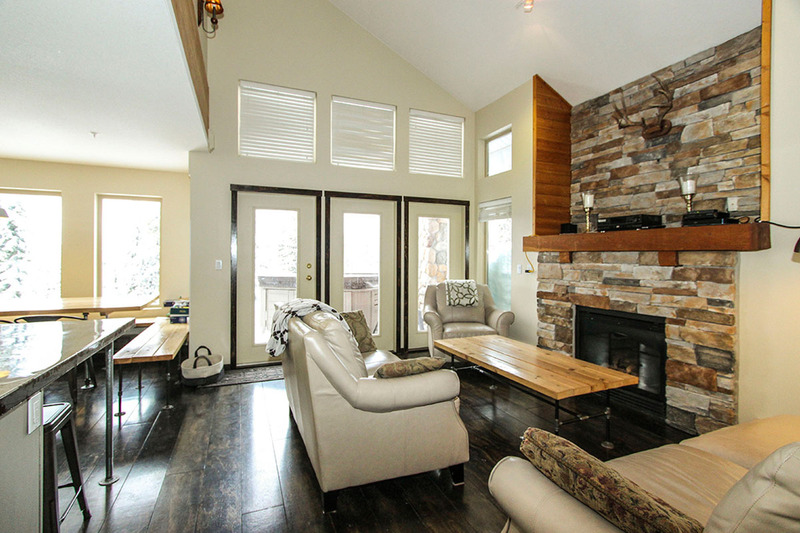 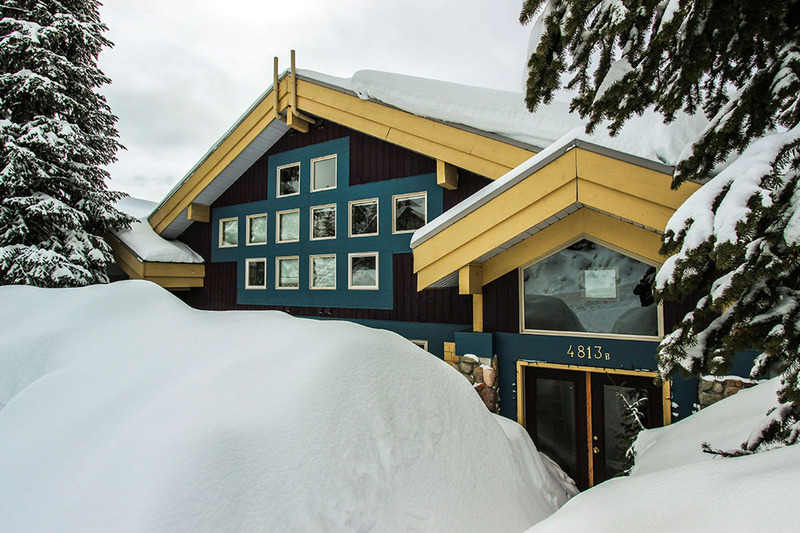 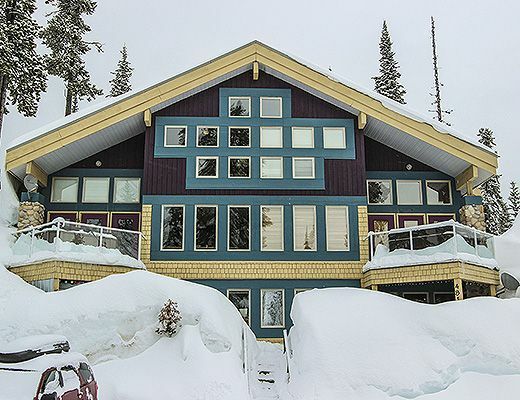 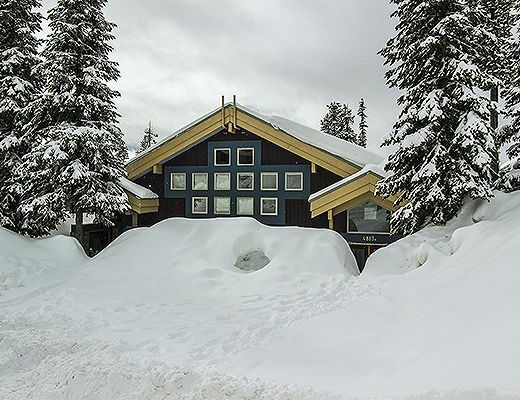 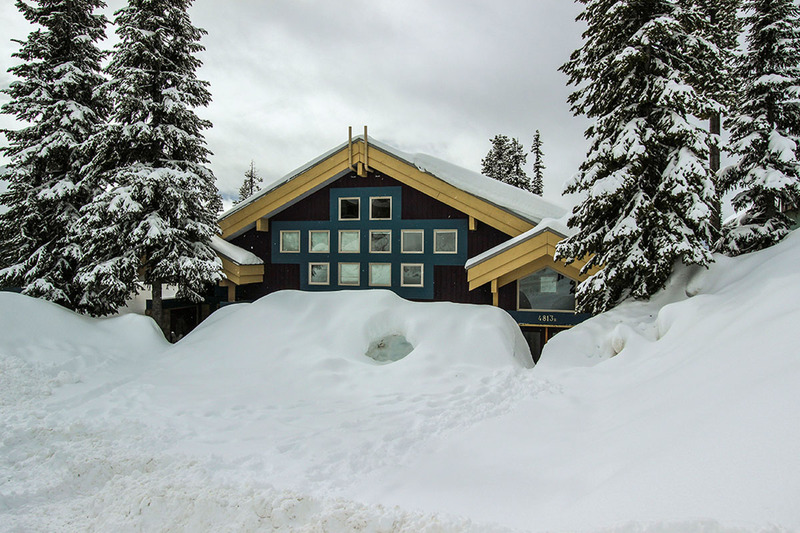 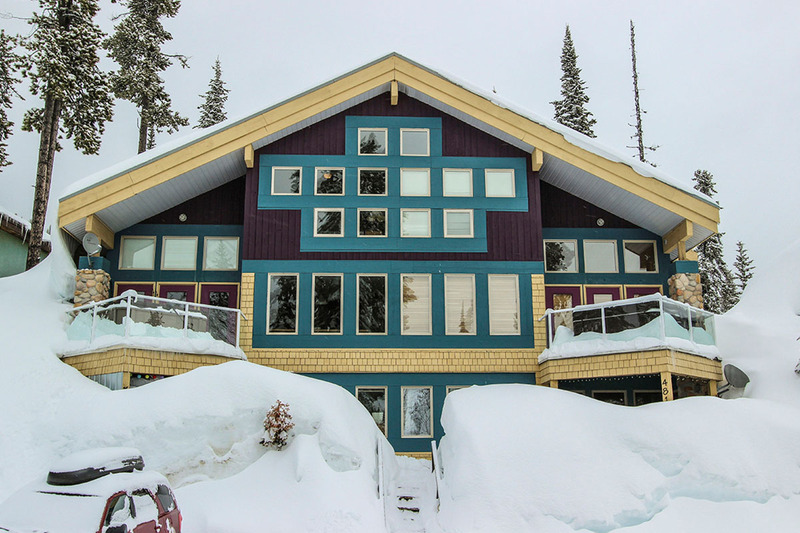 Ski in and out from doorstep or dedicated, maintained snow path directly behind chalet. 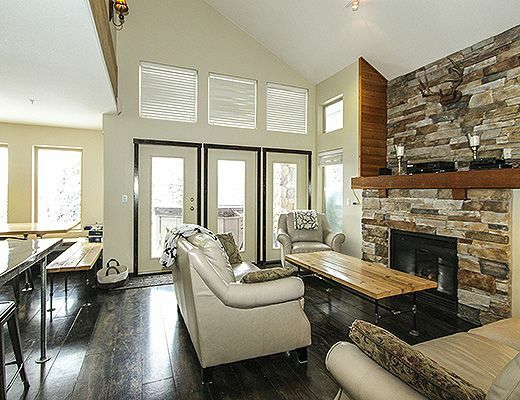 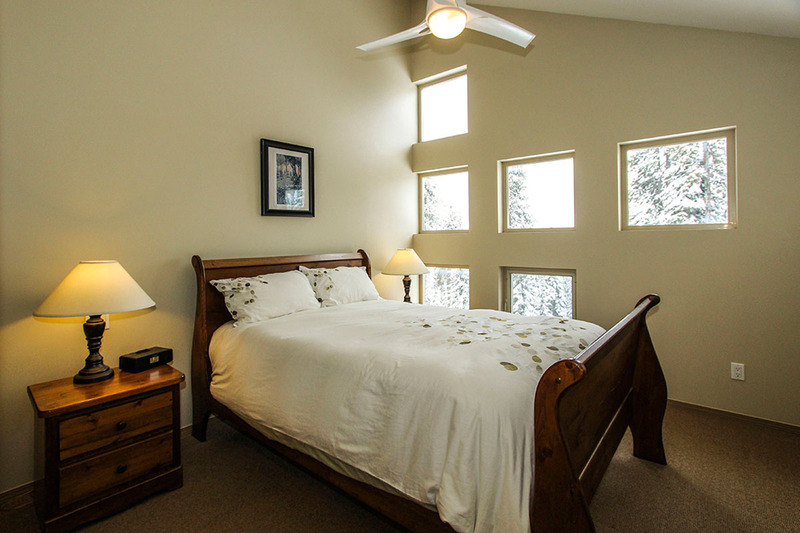 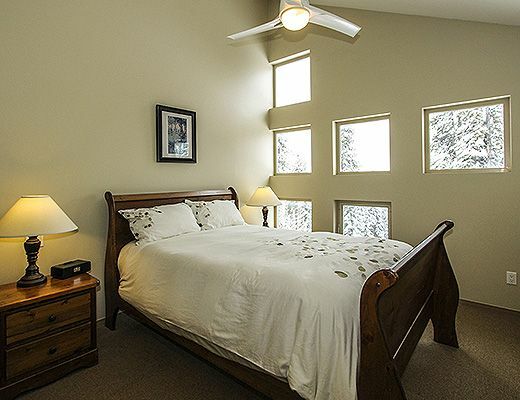 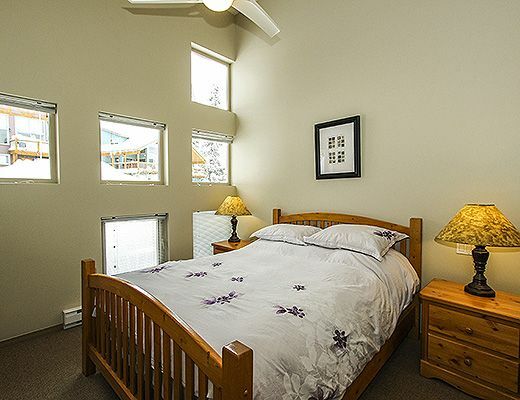 Located in quiet area of mountain offering reasonable strata fees. 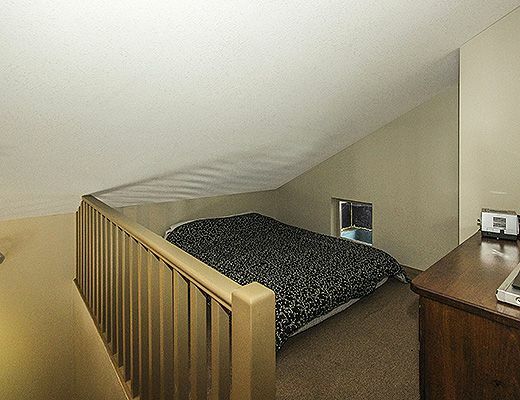 Two designated parking spaces lead down small flight of stairs to easy, flat double entry on main floor. 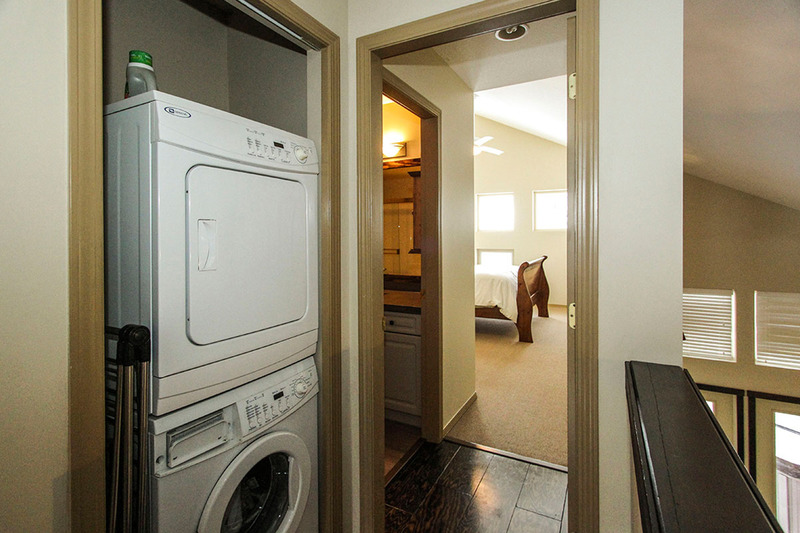 Generously sized inner entry way, renovated with rubber flooring to decrease slipping and snow clean up. 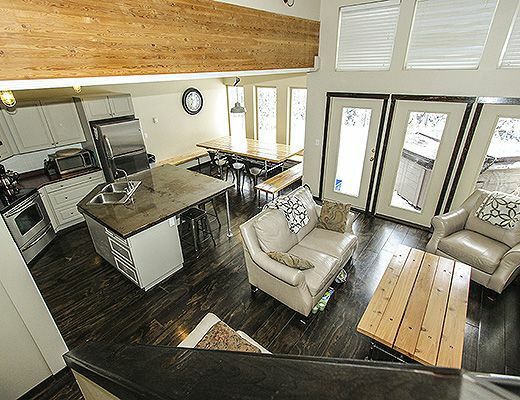 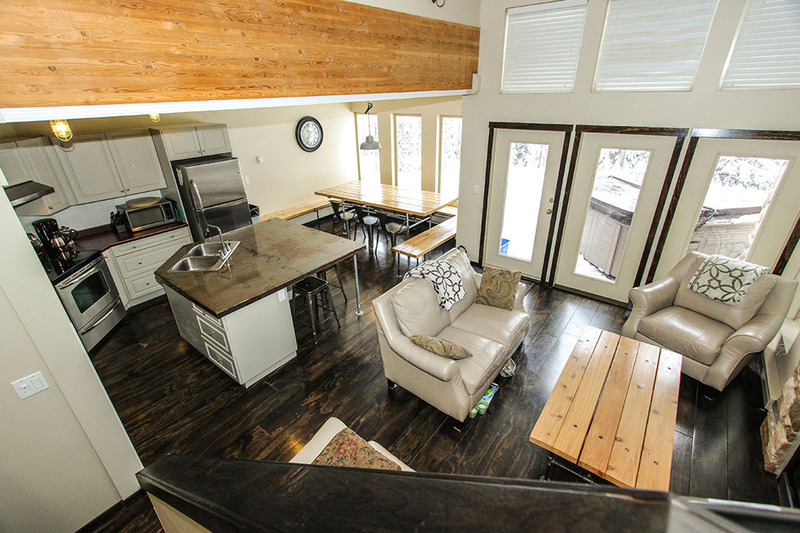 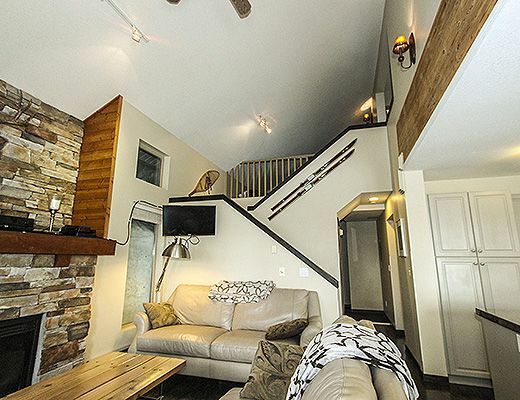 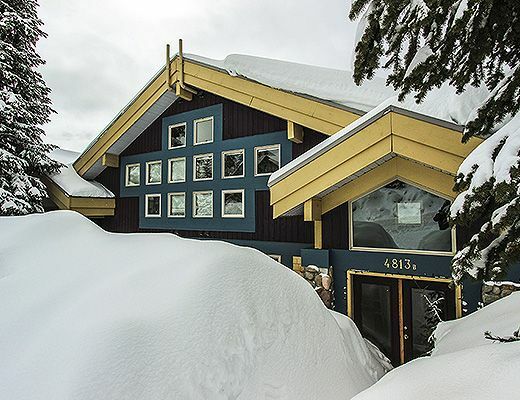 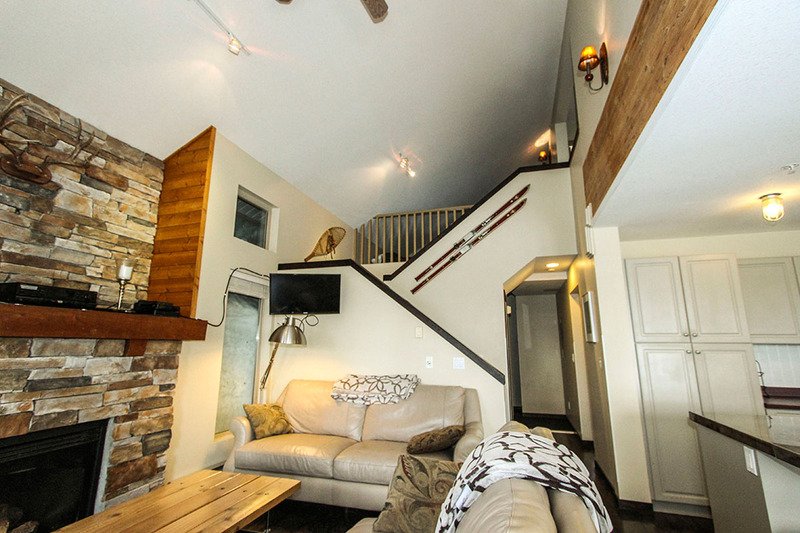 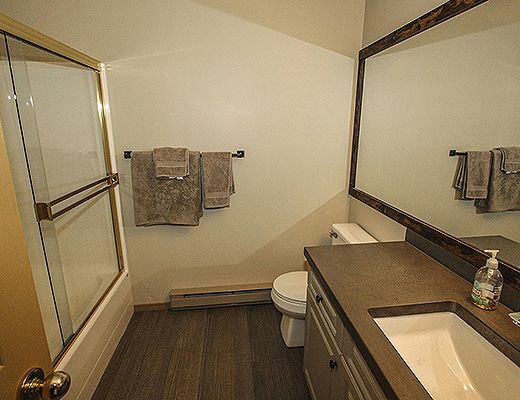 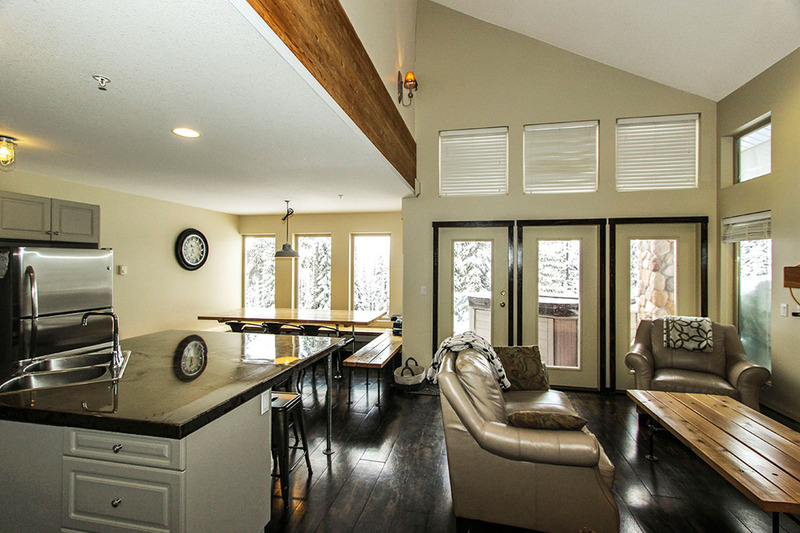 Private ski locker and lots of extra storage within enclosed outer entry. 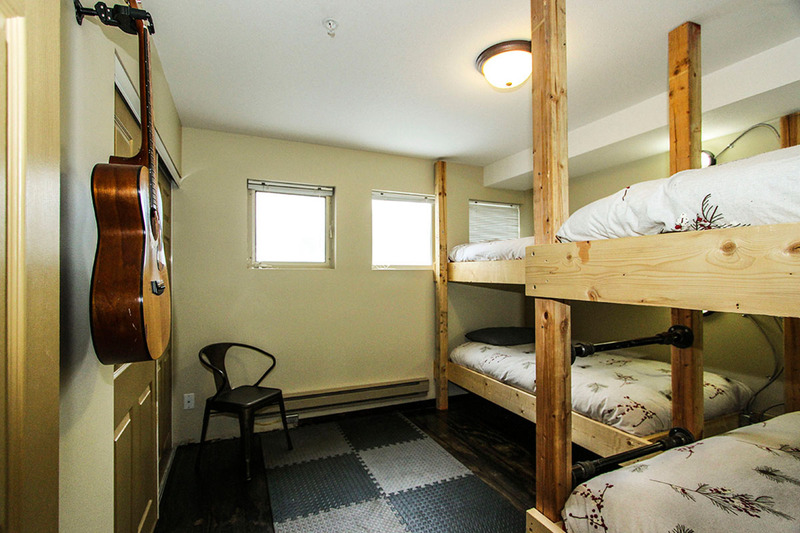 Interior layout has two queen bedrooms on upper level. 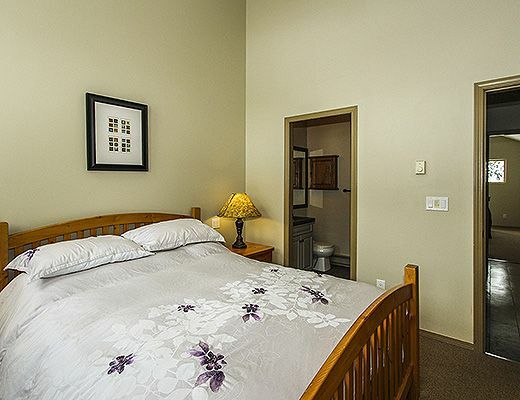 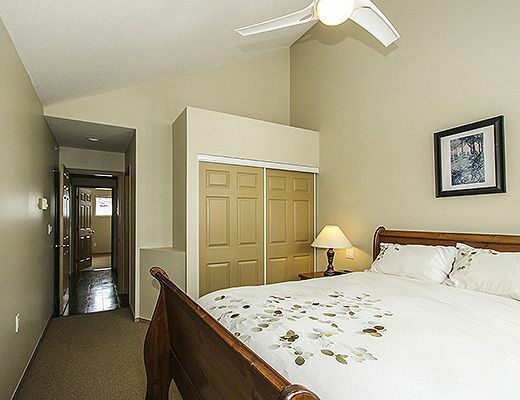 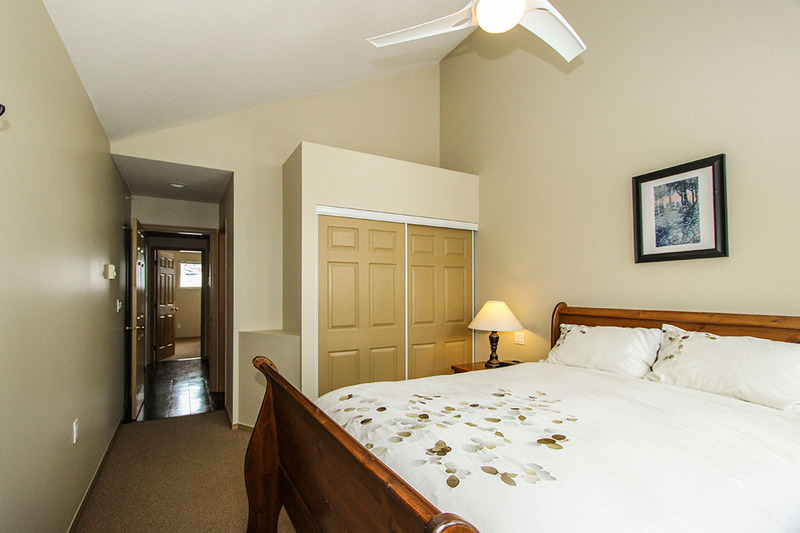 Both queen bedrooms have full ensuite bathrooms. 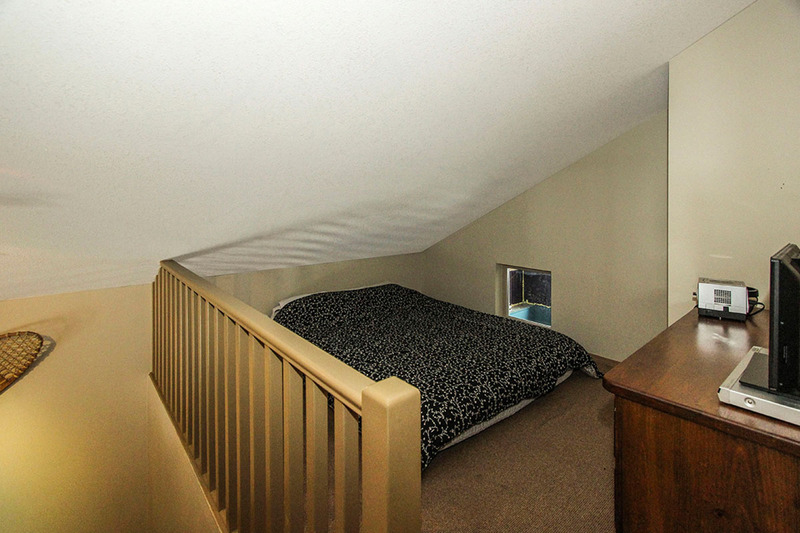 A large alcove on upper level with queen bed provides extra sleeping space or could be converted easily to extra kids area/tv area. 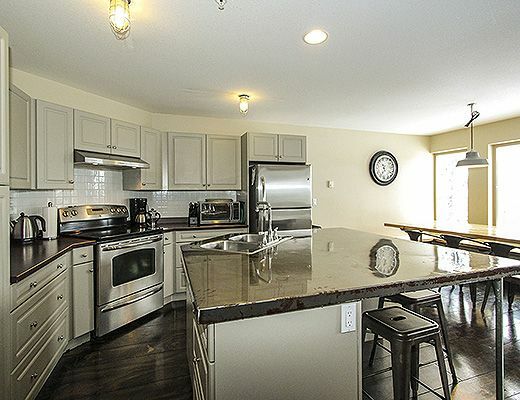 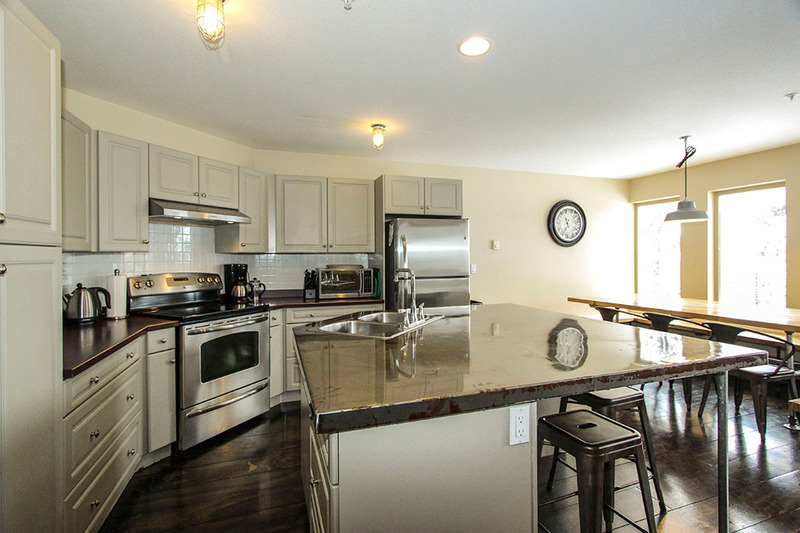 Main level offers large, open concept kitchen with new stainless appliances, big worktop island and lots of storage. 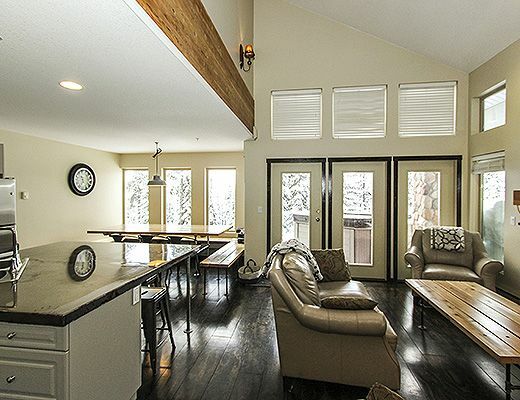 Great for family, kitchen is open to dining and living room with gas fireplace and beautiful mountain views. 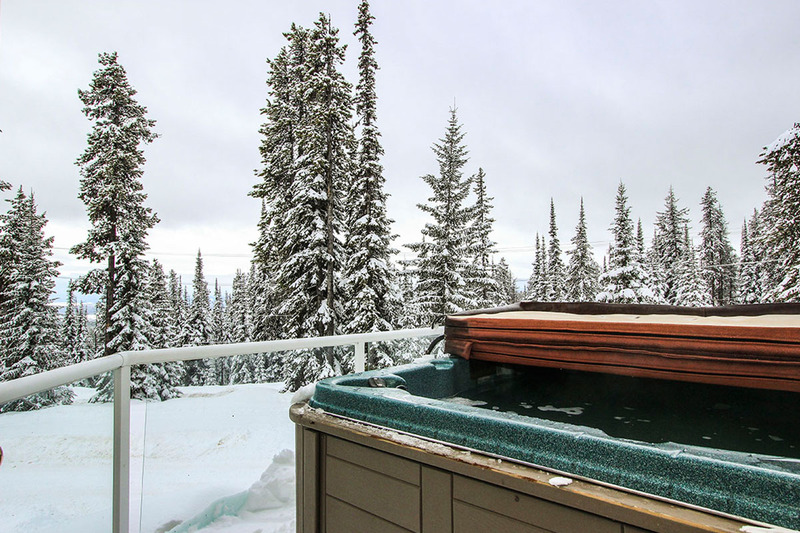 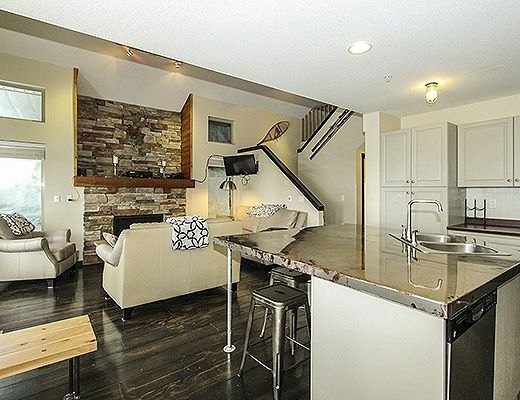 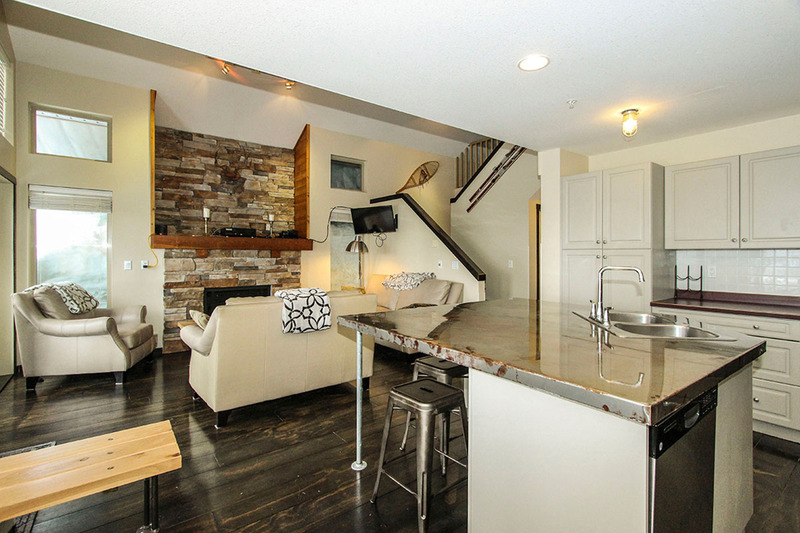 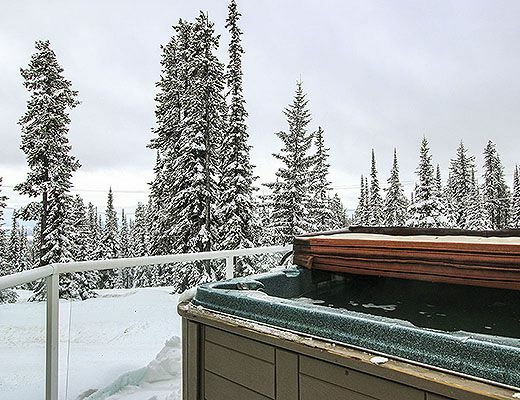 Private hot tub on main floor deck share beautiful mountain views. 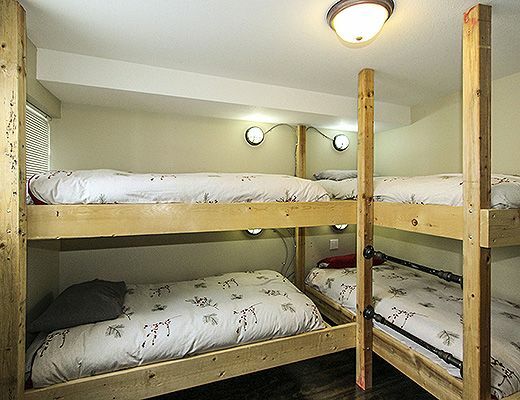 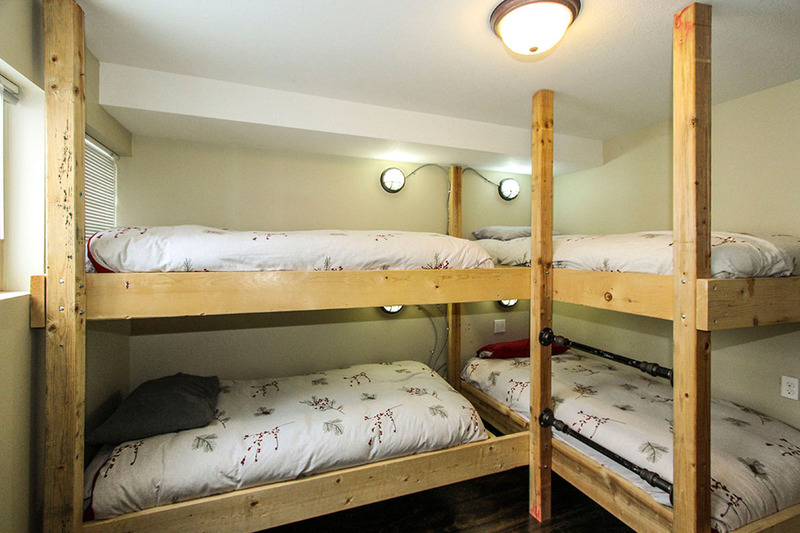 Additional bedroom with four bed bunk room. 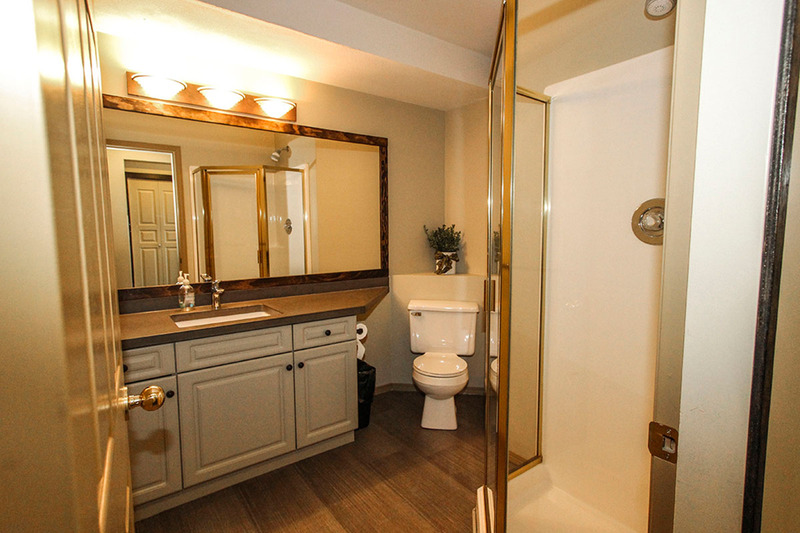 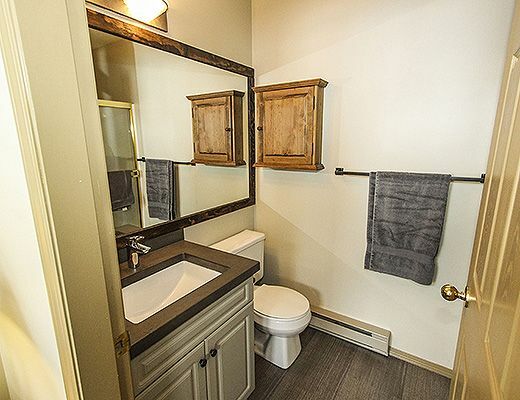 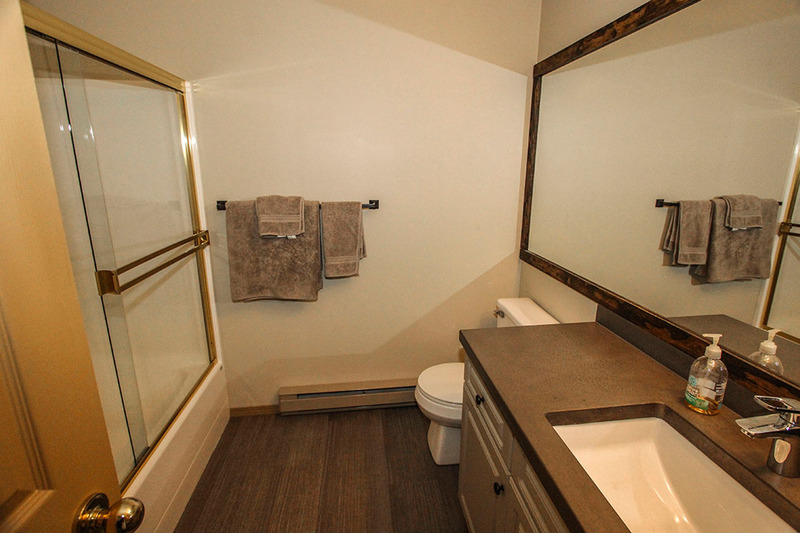 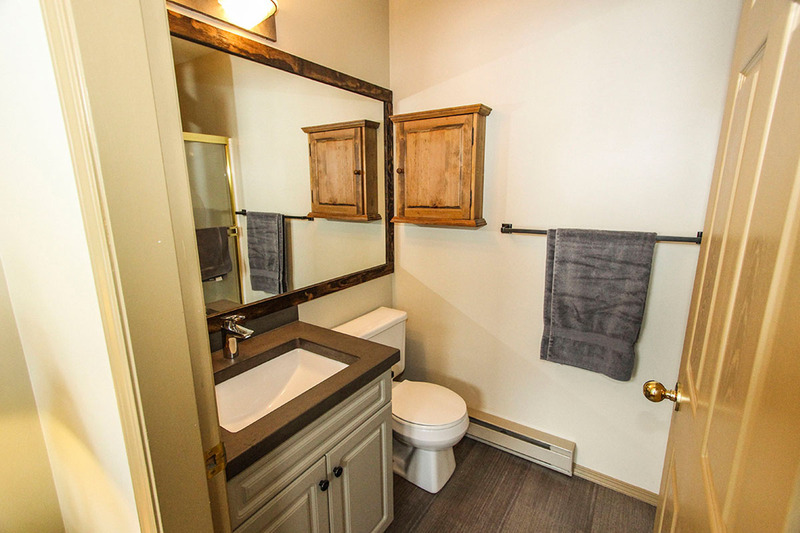 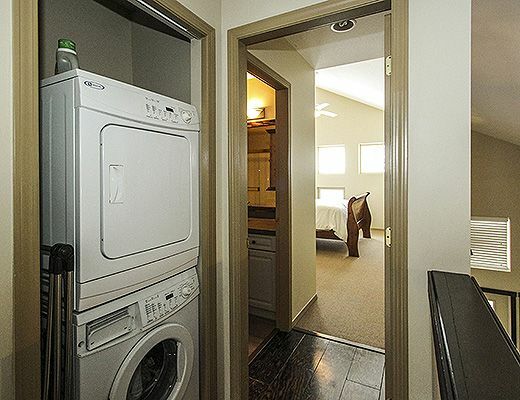 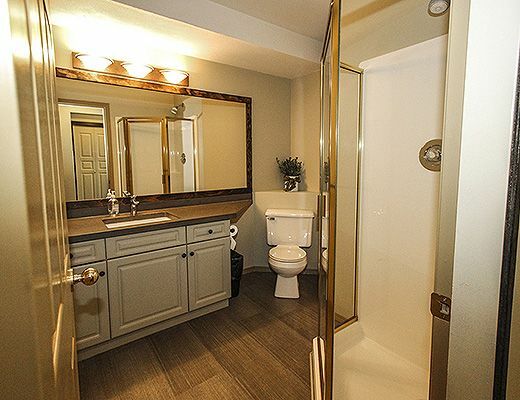 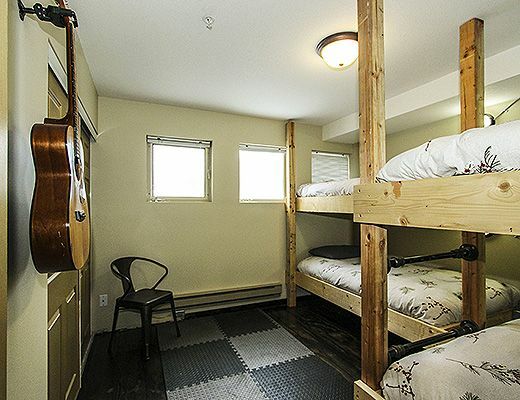 Bathroom is directly beside (shower only) – great room for kids and their friends! 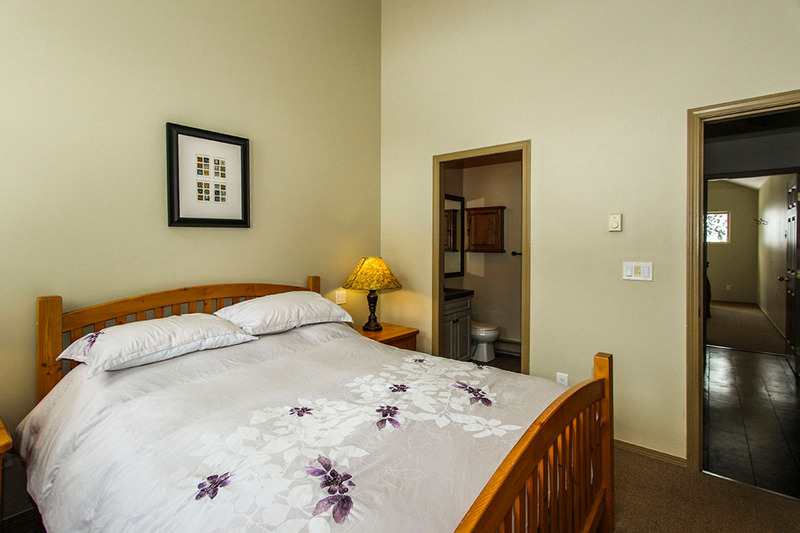 Special Note: A $200 cleaning fee applies to all stays.